You may download the Registration Form and print a personal copy, fill the relevant details, Staple KD 1/- to the filled Registration Form and drop it in the UC Registration Box at your respective Parish. Please note that, the Registration Form WILL NOT BE ACCEPTED VIA E-MAIL. 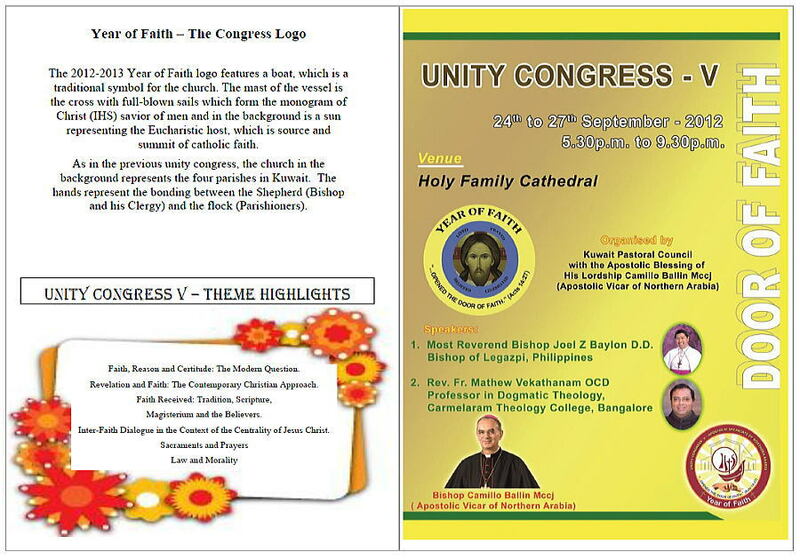 Once again, we are at the threshold of another Unity Congress which is scheduled to be held on the 24th, 25th, 26th and 27th of September, 2012, in the Holy Family Cathedral, Kuwait City. The four day sessions are in the evening from 5.30 to 9.30. This year we have chosen FAITH as the topic for our deliberations. 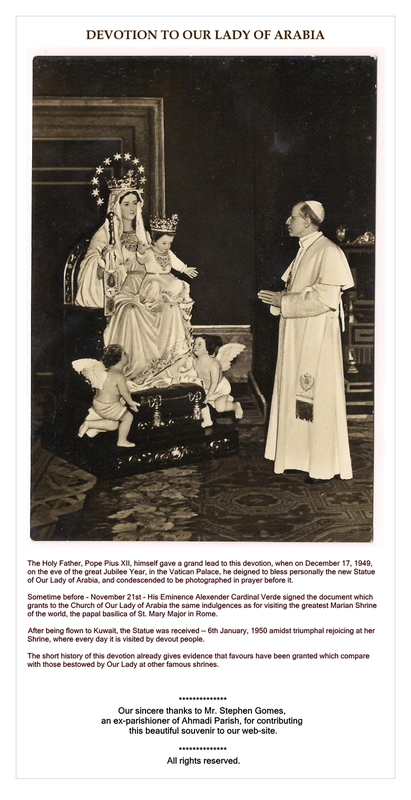 I feel, this year being the Year of Faith declared by the Holy Father Pope Benedict XVI, the topic chosen for the Congress V is quite relevant. Two eminent dogmatic theologians, one from India and the other from the Philippines, have agreed to come for the orientation talks and for guiding the discussions during the Sessions. 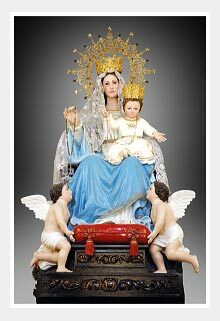 All the Parish Priests and the rest of the Clergy together with the maximum number of Faithful from all the four Parishes, are most cordially invited to participate in the Congress. 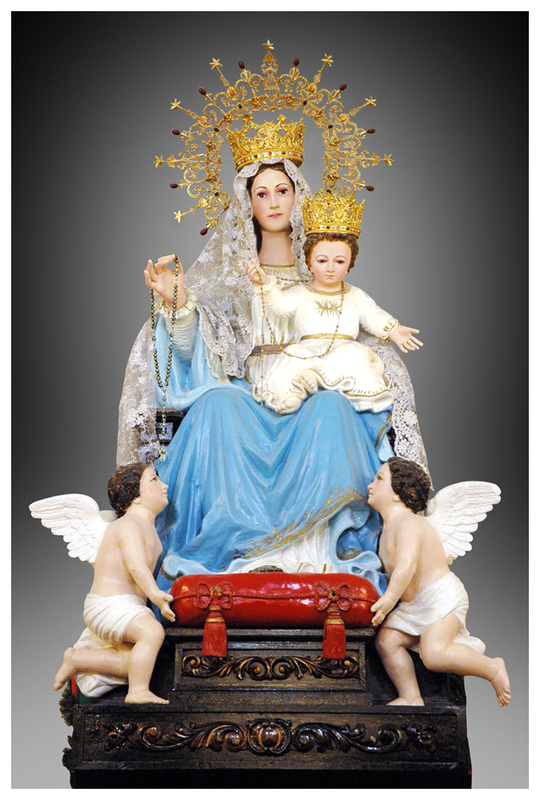 All the normal pastoral activities in the Parishes should be suspended during these four days of the Seminar. Kuwait Pastoral Council (KPC) is entrusted with the organization of the program. Dear Brothers and Sisters, I can gratefully recollect the four Unity Congresses we had during the past years and your participation in big numbers. The enthusiasm you showed and the cooperation you rendered for the success of those seminars were really encouraging. May I once again expect the same response from all of you. Hence, hereby I formally invite all of you to the Fifth Kuwait Unity Congress for a lively participation and a fruitful interaction in the Sessions.